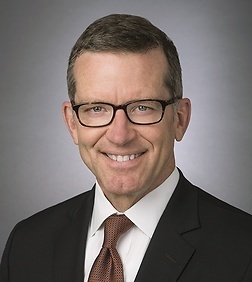 Scott Maberry is an International Trade partner in the Government Contracts, Investigations & International Trade Practice Group in the firm's Washington, D.C. office. Mr. Maberry counsels clients and litigates disputes in the areas of export controls, the Foreign Corrupt Practices Act (FCPA), anti-terrorism, national security, economic sanctions, anti-boycott controls, anti-money laundering (AML), the Foreign Agents Registration Act (FARA), trade remedies including antidumping and countervailing duty (AD/CVD) matters, foreign direct investment, and Customs. He also represents clients in negotiations and dispute resolution under the World Trade Organization (WTO), North American Free Trade Agreement (NAFTA), and other multilateral and bilateral agreements. His practice includes representing clients before the U.S. Department of Treasury Office of Foreign Assets Control (OFAC), Department of Commerce Bureau of Industry & Security (BIS), Department of Commerce Import Administration; Department of Homeland Security (DHS), Department of State Directorate of Defense Trade Controls (DDTC), the U.S. Department of Justice (DOJ), the International Trade Commission (ITC), the Committee on Foreign Investment in the United States (CFIUS), federal courts and grand jury proceedings, and WTO and NAFTA dispute resolution panels.